GARDNER, Mass. 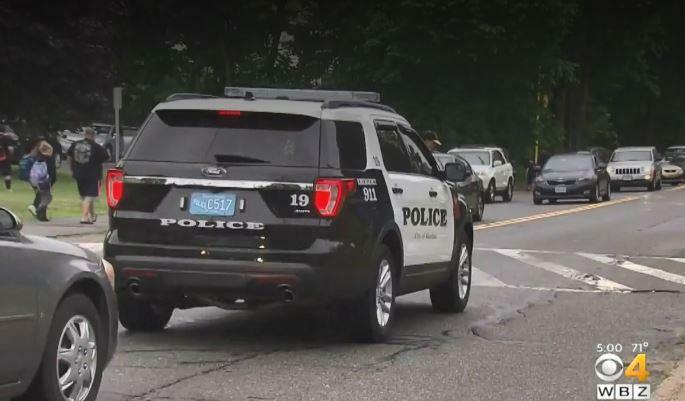 -- Police in Central Massachusetts are asking the public to be on the lookout for a suspicious driver approaching children and in one instance apparently videotaping them, reports CBS Boston. Police in Gardner said that on Tuesday at about 7 p.m., two girls encountered a blond, older white man driving a white van at an intersection. Police say the girls ran away after he offered them candy and asked them to get in his van. Police say similar incident happened in Hubbardston, eight miles to the south, about an hour later. Two 11-year-old girls waiting for a school bus told investigators they they were approached by an older man wearing a hat and sunglasses, and driving a white van with tinted back windows. He appeared to be taking pictures and video of the children with a cellphone, police said. One girl told police the man was asking her questions about where she lived that made her uncomfortable, Hubbardston Police Sgt. Ryan Couture told the station. The girls ran away. The two departments are trying to determine whether they are searching for the same suspect, CBS Boston reports. Schools and police in both communities have sent out alert asking the community to be vigilant and call in any tips. "The Gardner Police are asking the public to be diligent and call in suspicious activity that could be related to this incident," the department said in a statement.